Well I was sorting out some stuff and found my old pocket watches I ant used in a while, well not wearing suits any more so a few went. and I keep a none working family one from some where from 1920's / 1930's and then a 1960's none working Ingersoll (which am in the middle of fixing) and then a working 1970's Molina and then a 1950's smith empire military watch which I restore a couple of years back . I love them but as I say don't really use them and it is a shame, I am one of those that are all for them being converted to wrist watches at times thinking when case are damaged or some heartless heathen has ripped them out of semi and precious cases for the scrap value especial so. But some times it's nice to have them in an original case but to wear them as a wrist watch but their is a shocking lack of option on doing this that I have seen. I will list a few. 1) there was several 1909/ 1910 patents done for a spring load case holder ( seen one person doing a modern version bit pricey and looks uncomfortable). 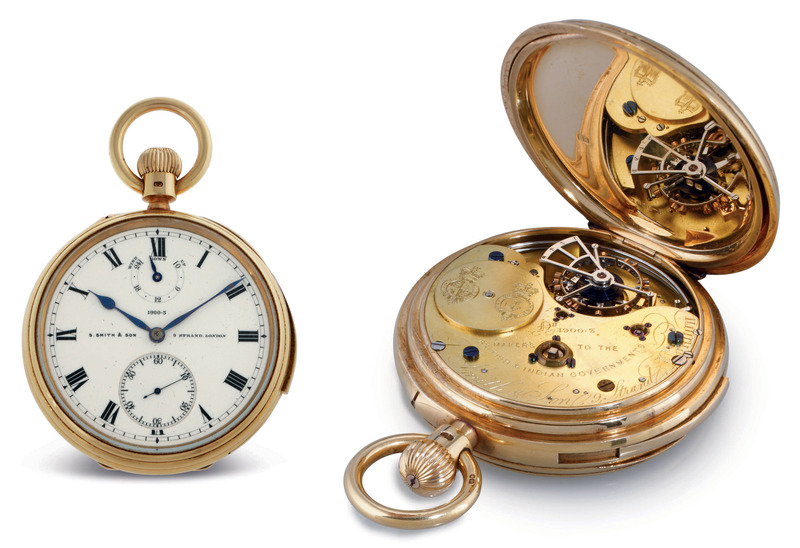 2) there was a cover done but ant seen many that went over the pocket watch that had lugs on it so when a nato was added that held the pocket watch in place . 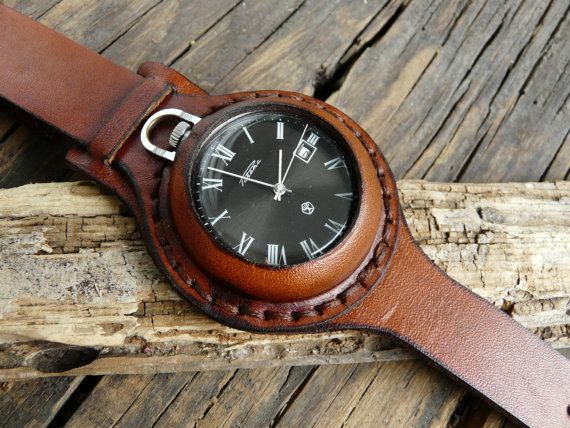 Then various leather pw straps that either use a snap on button to secure the pocket watch in a pouch or had a open front pouch that once a nato was slip through it pin it in place similar to number two . There seems to be a lacking in this modern age a way of doing this cheaply ( think with steampunk all the rage now their would be loads of options and price ) as each of these methods are costly and even read somewhere someone had a cad file made of one and had it 3D printed. Think also I might add pocket watch pics or poster I see when out and about on the internet, so might be a general pocket watch chat thread maybe but think it should really go in the vintage forum BUT things seem to get lost in their some times as only found if looking so think for now it can go in central ? . So any pocket watches in your draws or any thought and feeling on them guys/girls ?. They’re quite pretty, but when it comes right down to it, they’re watches that go in the wrong place. 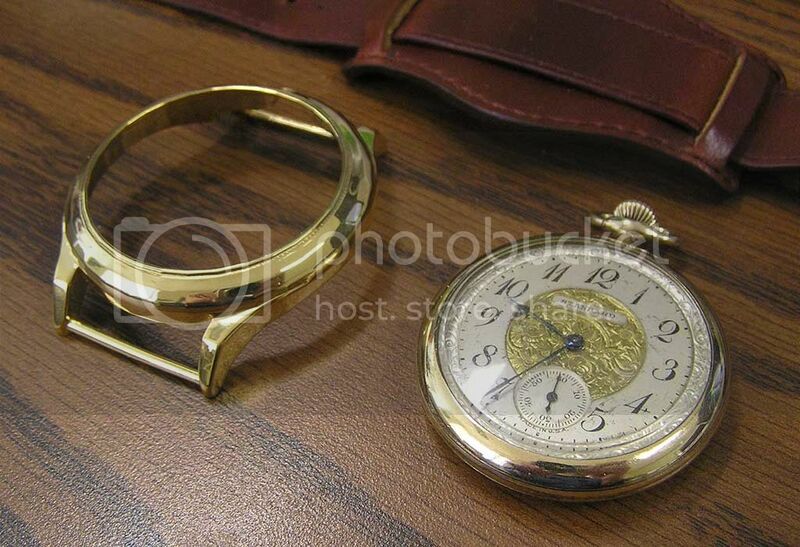 I don’t have a place for a pocket watch in my pocket system and it would leave my wrist cold and lonely. My character in Red Dead Redemption 2 has a pocket watch, though. A nice one. Could be sold at a fence for about $4,600 in today’s money. Even if I wouldn’t end up wearing it much, I’d very much like to add one to the collection. I got the wife a beautiful, smaller, vintage one (100+years old) a few years ago and it’s lovely! I do like some of the conversions, whether permanent or slide-in, though most would wear much too large for my wrist. I thought I might also get or make a stand and use it as a desk clock. Last edited by ctimrun; Jan 27, 2019 at 01:59 PM. I bought a Casio stopwatch to use as a pocketwatch. I use it sometimes in the summer when it gets so hot that wearing any kind of wristwatch, even with a Nato, will irritate my skin. It is a HS80-TW and the funny thing is that it has some amazing features that no Casio wristwatch has, like 12 (!) alarms. I made a few conversions will do some pics in a bit ..